Lock in a great price for Drumorne Guest House – rated 8.6 by recent guests! Great location. Accessible to a lot of areas. Very clean facilities. A wonderful friendly helpful host. Abe is the best. The owner was awesome he went above and beyond helping me with public transportation and an early morning taxi reservation. the place was very clean and has a lot of charm and very convenient by public transportation. I found in a very good value. The neighborhood was very quiet. The host was congenial and accommodating. He prepared us a special breakfast of local product we had purchased and gave excellent directions and advice for things to do. The guest house was very clean and lovely. It had a character even though the rooms are quite modern. The breakfast was lovely and the coffee is the best I ever had! But the best attribute of this place is the gent who runs it. He is so enthusiastic and friendly. There was no problem in getting us new towel, providing almond milk (lactose intolerant) or advising on how to get to the town centre. Truly, we had a wonderful time. I would recommend this place to my friends and family and I would love visit again. Thank you! Clean, basic accommodation and friendly owner. Not central, but we walked through Hollyrood Park to the city centre, and found it a beautiful walk. There are also several buses we could have taken. 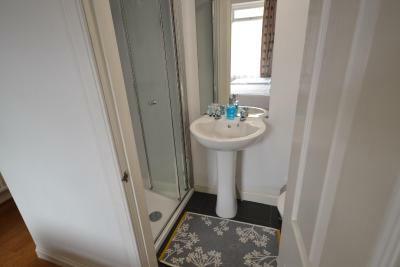 Great location, very close to Royal Mile and city centre. Also, hosts are very friendly and helpful with all my questions. I was a bit concerned about car park, but there is a lot of space around guesthouse. Small but cosy room, I don't need much more. Thank you for everything. 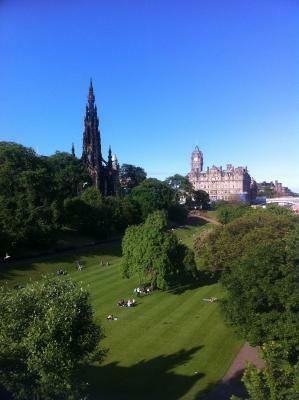 Strongly recommended to stay in Edinburgh. One of our best sellers in Edinburgh! 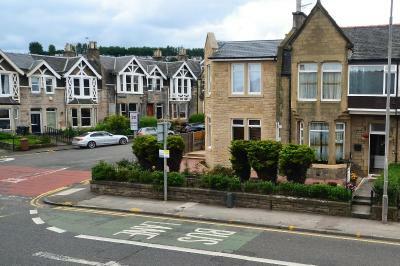 Located on a 24-hour bus route, the Drumorne Guest House is just 2 miles from Edinburgh’s city center. With free Wi-Fi, it is 25 minutes’ walk from Edinburgh Beach and a 5-minute stroll from Holyrood Palace Park. The basic rooms feature a TV and tea and coffee making facilities. 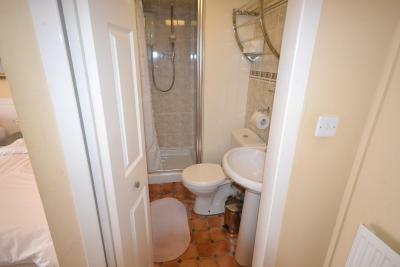 The rooms benefit from an en suite shower room. Ironing supplies are available upon request. In the mornings, the Drumorne provides a continental buffet breakfast, which includes cereals, toast, yogurt, and cheese. Cooked options are also available. 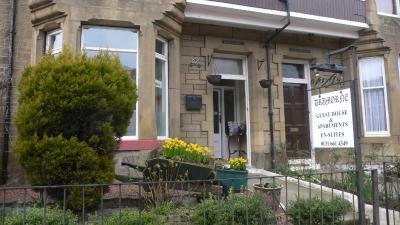 Edinburgh city center is a 5-minute bus journey from the Drumorne Guest House. Home to the famous Edinburgh Castle, the historic city center also offers numerous shops, restaurants, and pubs. The Scottish Parliament is just 1 miles away. There are more than 7 golf courses surrounding Edinburgh, and Craigentinny Golf Course is 20 minutes’ walk from the guest house. When would you like to stay at Drumorne Guest House? Located on the first floor, this room features free Wi-Fi, a TV, and tea and coffee making facilities, along with a small table and chair. 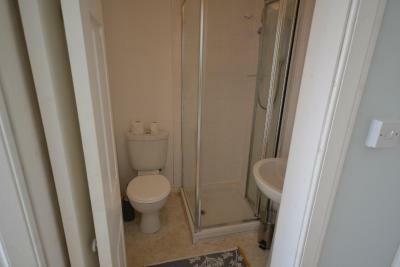 The room benefits from an en suite shower room. Located on the first floor, this quiet room is to the rear of the building. 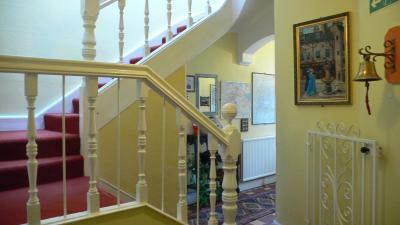 It overlooks the back yard and features free Wi-Fi, a TV, tea and coffee making facilities, and an en suite shower room. House Rules Drumorne Guest House takes special requests – add in the next step! Drumorne Guest House accepts these cards and reserves the right to temporarily hold an amount prior to arrival. Please note that continental breakfast is served in the mornings alongside cooked options. The premises was locked and no staff when I arrived, I had to mess about and phone the owner to get a key to get in and find the room and search for wi-fi details etc. The place needs some tlc and upgrading in my opinion and my breakfast was not that appealing. The room was cold during the night and I had to find a blanket to put over the quilt. I liked the location and the price. All what I can suggest, I hoped that I could try full Scottish breakfast, but not necessarily. A little bit far from the town centre, but the price made up for that. Shower room was a little small but was fine for our needs. The owner is lovely - nothing is too much trouble. We were given a larger room than the one we booked, which meant we could both have a bed I stead of sharing as we'd originally planned. Area is quiet and seems safe. The facilities were comfortable and very clean. There are several bus stops nearby and it's well communicated with the city centre. The staff was very nice and helpful. I definitely recommend it. We had a' triple' room that was wrote thought for a couple and teenage son. Beds were a little on the small side. En-suite had a very noisy fan. Beds were very comfy and the a innovation in general was very clean. Decent rate for a weekend night for a triple room with breakfast included. Breakfast was adequate with enough choice. Warm welcome from the owner, very helpful. Busy area but managed to get an off street parking space at this property. The taps just take a little while to warm up, so don't panic and think they aren't working. It is a very cosy bed and breakfast, so nothing too lavish or hotel like. It's just a nice little place to stay whilst on a minibreak. The staff were wonderful, and went above and beyond the call of duty. The owner was so friendly. We had a lovely breakfast, with good strong coffee, and a hot croissant. It was a little way from town, but so much nicer to stay somewhere quiet. Real good value for money! This is a very nice bed & breakfast with the most friendly host, Abe. He did everything to make our stay as perfect as possible. The breakfast was delicious with fresh made scrambled eggs and bacon. Next to that there was a possibility to make coffee and tea in our room. Our 2 persons room and bed were small but cosy. The room was quiet (backside of the guesthouse), so we slept very well. 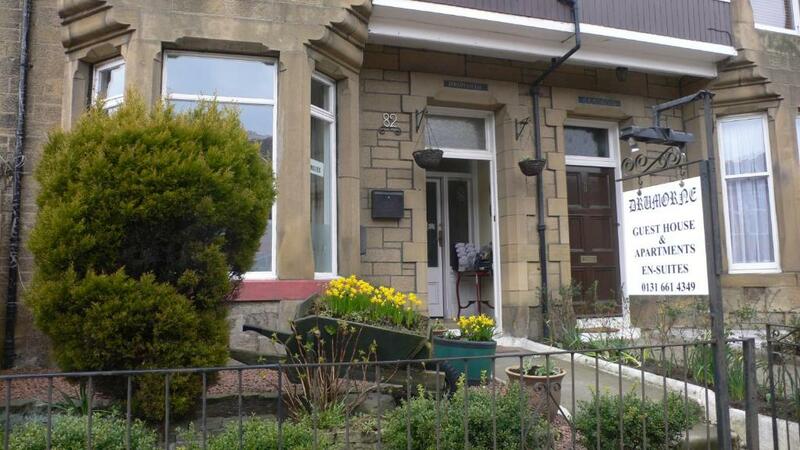 The Drumorne Guest House is close to the incredibly beautiful Holyrood Park, which is a "must see"! There is also a bus stop nearby but we preferred to walk to the city center through the Holyrood Park, which was a very nice walk. 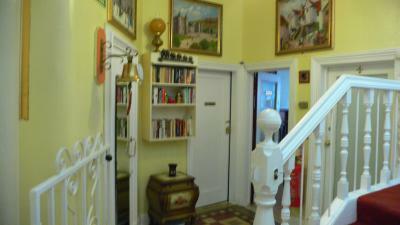 Next time we're in Edinburgh we will definitely book the Drumorne Guest House again.